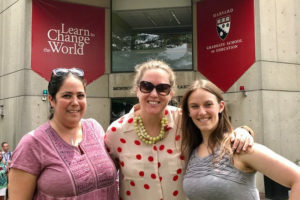 Elementary School Director Arielle Derby, Early Childhood Director Melissa Davis, and Second Grade General Studies teacher Jen Margolis attended “Project Zero Classroom,” a week-long course at the Harvard Graduate School of Education. They were joined by teachers and researchers from all over the United States and 30 other countries. Project Zero Classroom emphasizes educational research that examines facets of human potential — such as the nature of intelligence, creativity, learning, ethics, and thinking — and explores how educators, schools and other learning environments can support its development. The week-long institute focused on research-based frameworks to help educators understand these facets, reflect on pedagogical practice, and adapt concrete tools to fit a variety of classroom contexts. Over the course of the week, participants engaged in a deep dive into several areas of education research. Together they shared best practices in education with their peers, and discussed a variety of themes, such as creating cultures of critical thinking and creativity and how to design learning experiences for a variety of diverse learners and contexts. 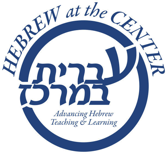 Each day of the institute focused on a deeply thematic “through-line” question, such as “What is understanding and how does it develop?” or “What are the roles of reflection and assessment in learning?” Participants heard presentations of cutting-edge research, then split into small learning groups to focus more closely on different aspects of the guiding question.